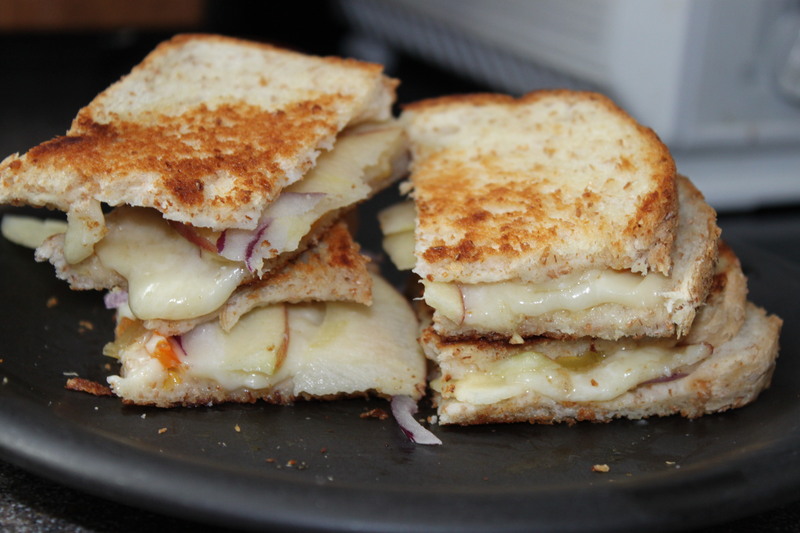 A while back I shared my all time favourite homemade grilled cheese sandwich recipe. Recently, I decided to try something completely different and it was very yummy as well. Place the ingredients inside the sandwich and grill as you would a regular grilled cheese sandwich with the outsides buttered. (I find that the cheese melts more effectively, if you cover it.) Once the bread has browned on the outside, and the cheese has melted, remove the sandwich from the pan and enjoy! P.S. Just wanted to let you know the Chocolate Peanut Butter Trifle was a big hit. Well worth the calories and the recipe is definitely a keeper!